Can you believe that the Makeup Revolution are the first brand that I've ever tried an highlighter from? Yep, me neither. I've always been somewhat wary of the highlighter and never took the courage of wearing it for a day or even applying it for a matter of fact. When I got my hands on Peach Lights I went online and did some research on how best to apply it, and I've never looked back - to get my hands on Golden Lights also was a bonus. 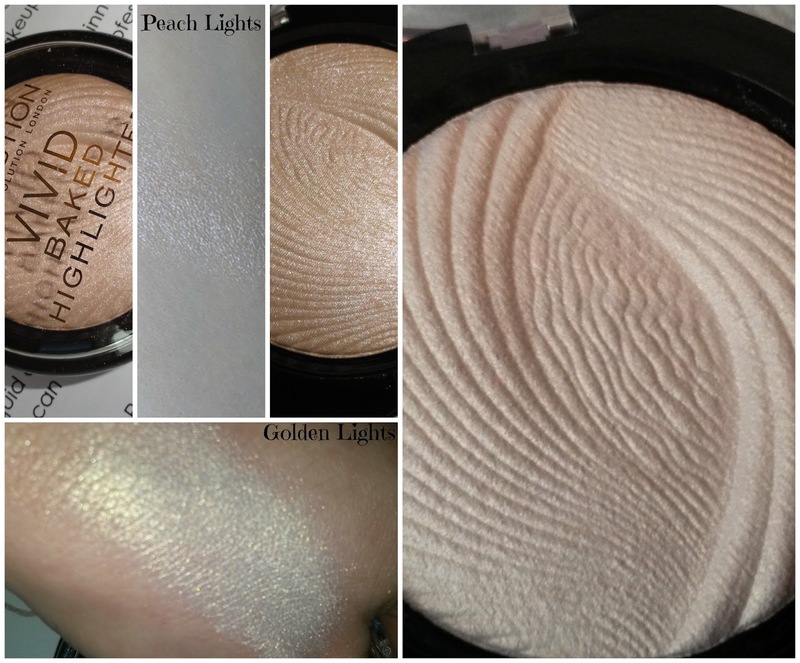 Peach lights is a warm toned highlighter that is, well you saw the name - peachy toned. It has a slight sandy tone to it too with a slight shimmer and is very subtle, but highlights the face beautifully. I definitely have a more cool toned skin tone going on, but I believe peach lights would work on warm toned skin due to how subtle it is but can be built up more intensely has you wish. Golden lights is a little more daring and more intense then peach lights but still very wearable and highlights them cheek bones and so on way more. I'd say golden lights is best suited for those with a warmer tone but you can make it work by applying less for a more subtle look - this will look great with a tan for a really healthy glow. I would recommend using a brush to apply the highlighter, not to big nor to small. You definitely don't need a lot of product either, a little goes a long way. I'm happy has Larry and really glad I took the jump to try an highlighter, these (more so Peach Lights) have become an everyday go to in my makeup routine. I really want to add the third and final highlighter in pink lights to my collection - I believe this will work more for my cooler skin tone. The staying power is fabulous. The packaging is very basic, I have however dropped Peach Lights a few times and the packaging is still intact, for three pounds I'm not complaining. I also love the patten on the powder, it's really pretty and adds that little touch of added thought. You can buy one or all three highlighters available here for only £3.00 each.